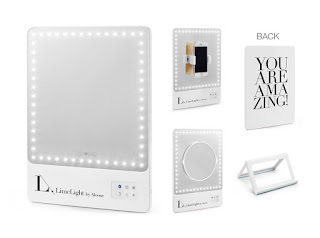 I heard about Hautelook and signed up a while back but was turned off by the fact they charge for shipping… just charge me more and make me believe shipping is free! I much rather do that than come to terms with how much shipping costs compared to what I am buying… rant over, haha. 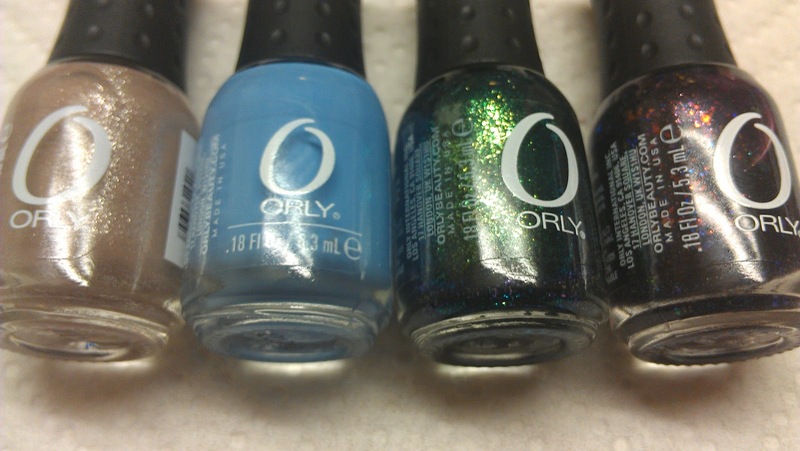 So, a few weeks ago, Orly was on Hautelook, minis for $2.50. I was looking at trying out some Orly polishes, I had only tried 3 of their Glam FX glitters… and then it happened, as I was telling myself I would not buy any because of the $5+ shipping charge, they emailed me a $15.00 code!!! No minimums, just $15.00 to spend! 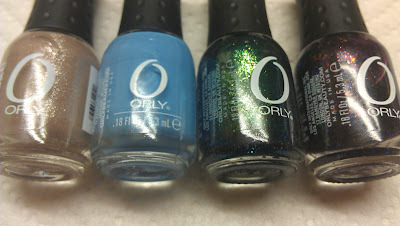 So, shipping charges and all I got 4 mini Orly polishes for $0.95, now that my friends, is what I call a deal! Here are the 4 shades I got, excited to use them soon! 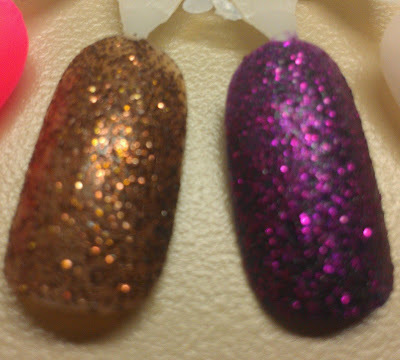 I also got some more nail polish from Copious with a credit I got from a link that another blogger posted. 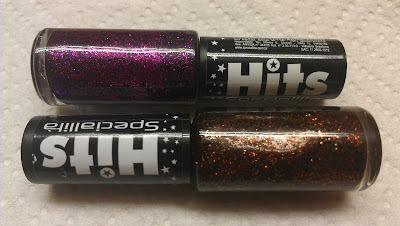 HITS is a brand I had not heard about before, but the glitters looked pretty good. 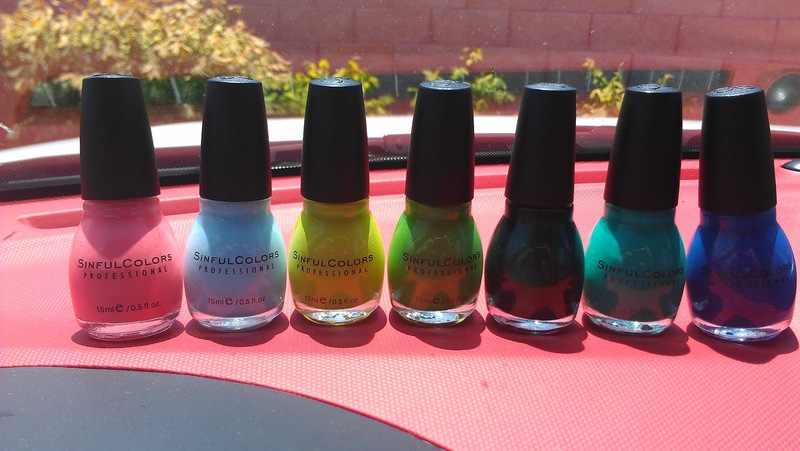 Here are the swatches, the smell is kinda strong but I love the way they look and for $0.01 (now you have to spend at least $0.50 even when using a credit), these were also a great deal! 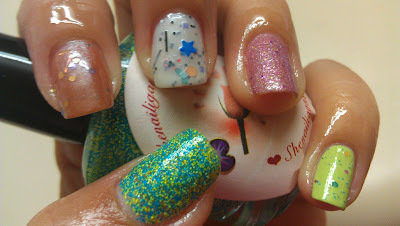 Grrr hard to picture all these glitter! Prettier in person! 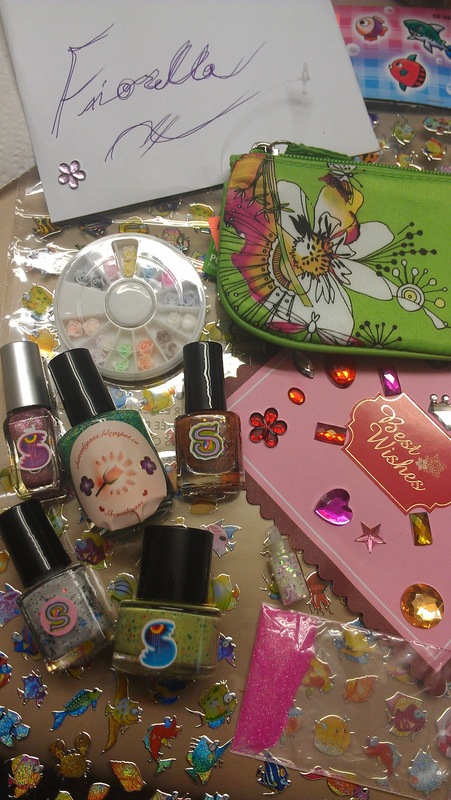 Another great idea I had recently was to look online for nail polish trading and nail mail pals groups. I joined Adopt A Friend, which is basically a group where you are paired up with one (or more) pals, you send them a letter telling them about yourself and a little gift with it. Most people send nail polish or nail polish related stuff; unfortunately the group is on recess this month while the admins sort out some issues like swaplifters (people who receive but don’t send anything), and such. I am looking forward to October’s exchange already. 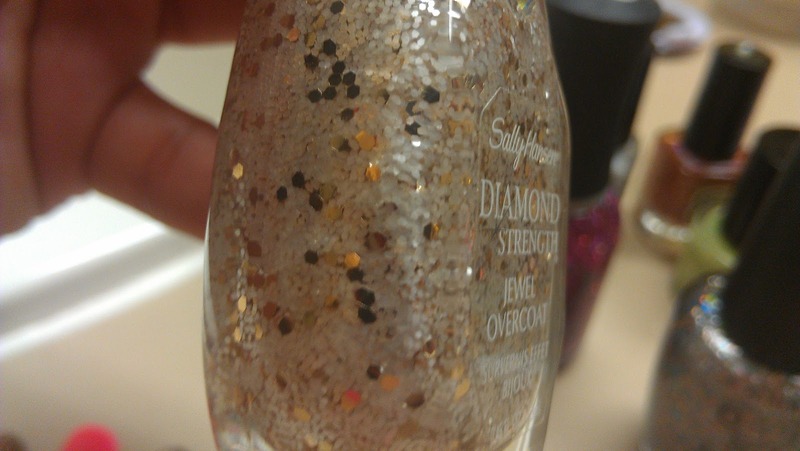 My first Essence polish! 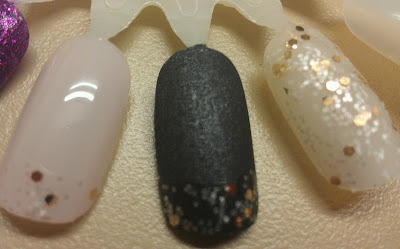 And I learned not to underestimate the beauty of a color and try it on before deciding whether you like it or not :) I actually used this pretty color on my first “fimo mani” (will do a post on it soon). And this Sally Hansen is one I had never seen before, what a cool combination!!! 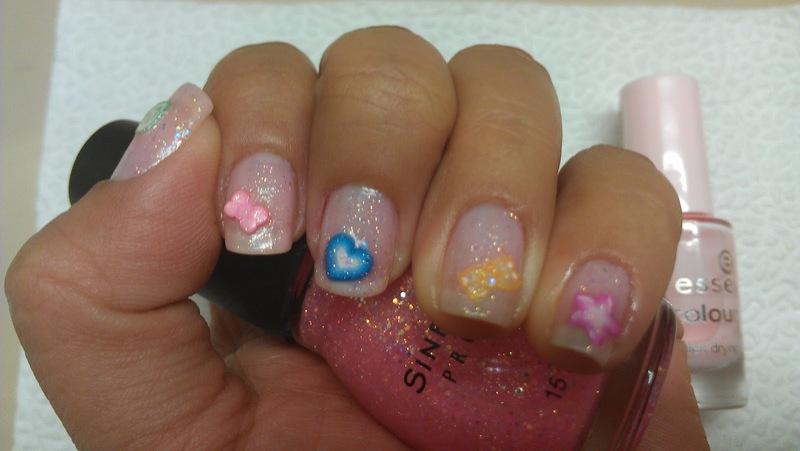 White and gold glitter! I feel it could go over ANY color and look fantabulous! See? 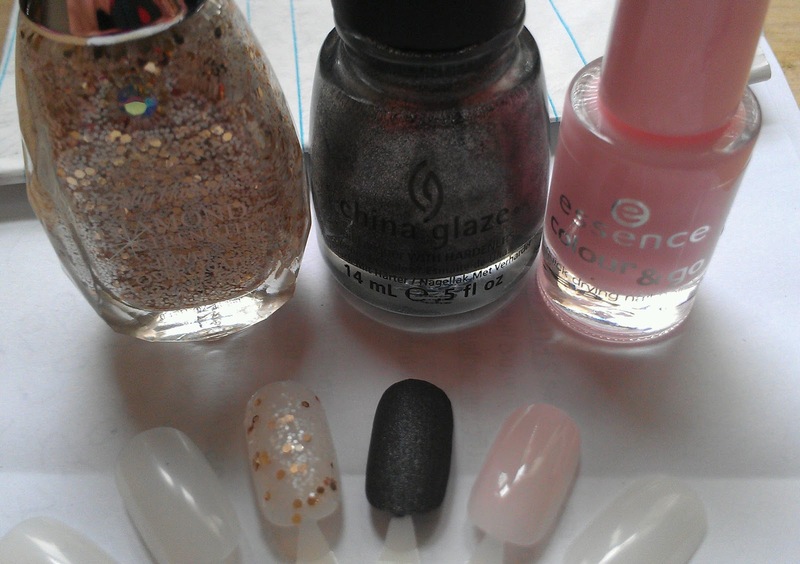 Look at the middle one, China Glaze Stone Cold! OMG! It dries so nicely!!! Can’t explain it with words, just look again!!!! 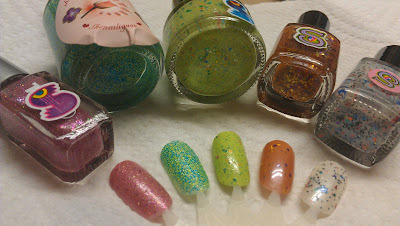 Since I saw she was “frankening” I asked her to make me some polishes! I wanted her Floam dupe so bad!!! But the rest I left open to her imagination! How awesome are these colors??? Thank you Sam! I look forward to many more exchanges and a long friendship!